DIAGNOSTIC FEATURES: Adnate to loose; marginal and surface soralia; medulla pale to orange-yellow; upturned, spoon-shaped lobe tips; spattered pruina on lobe tips; white-tipped rhizines visible from above; cortex UV-. 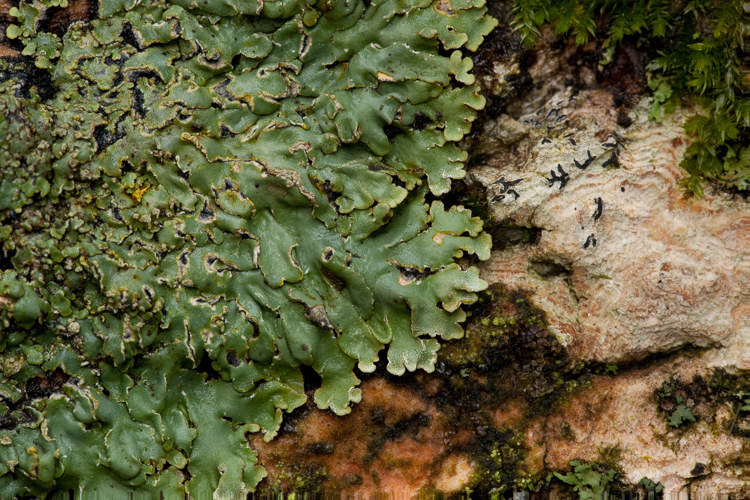 Compare with P. subcinerea, lobe tips generally plane or turned down; rhizines usually black to tips and not easily visible; UV+ golden yellow. 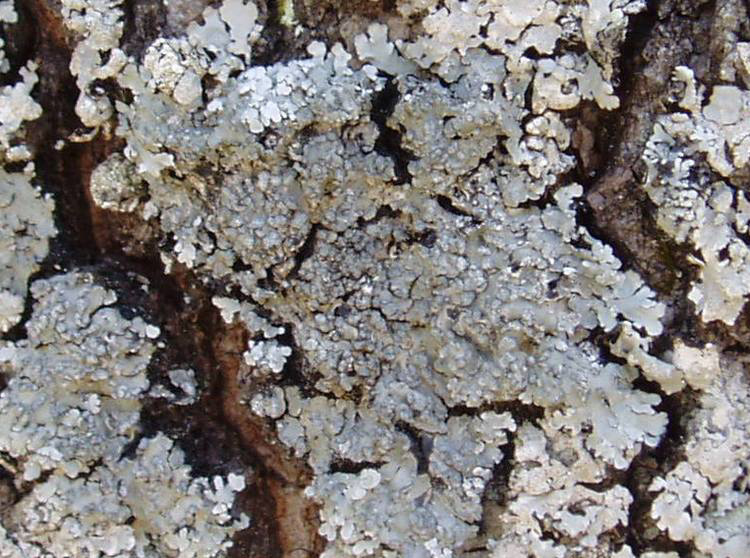 ECOLOGY: Common in the eastern US on bark or more rarely, rocks; widespread in Ohio.